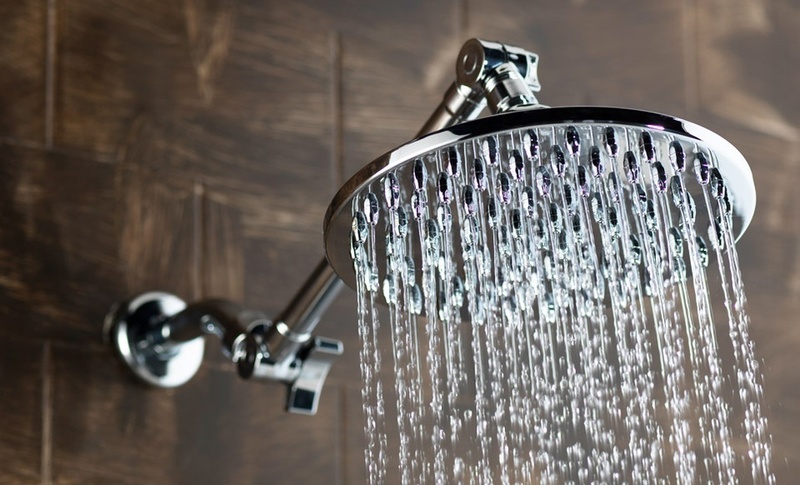 In an average US home, the shower is generally the third largest water usage. The average shower uses 17.2 gallons (65.1 liters) and lasts for 8.2 minutes at average flow rate of 2.1 gallons per minute. That’s water that essentially runs over your body, mixes with a bit a soap and goes down the drain. But some folks are saving that water and water from clothes washers and using it to water plants in the landscape. Known as “grey water”, many have jumped on board in this growing trend, while others avoid it, likely due to the plethora of misinformation available. Understanding and using grey water is our topic on this week’s landscapechat! Join @CoronaTools and partner Jain Irrigation with VP Richard Restuccia @JainsUSA , along with the Real Gardener, Cristina da Silva tweeting as @CristinaGardens on #Landscapechat to discuss Using and Understanding Grey Water! Tweet with us on Wednesday, October 14, 2015 at 11AM PST/ 2PM EST. This is the Twitter chat where we come together with green industry experts and fellow landscape tweeps, each week to discuss all things related to landscape, since 2011. What types of grey water can be used to water plants? Memorial Day weekend is time to raise the stars and stripes and to honor the American service men and women who gave their lives while defending our freedom. It’s also the first long holiday weekend in Spring and a time when many Americans take advantage of the extra day off to get projects done. We’ve put together a list of 5 garden and landscape projects that are easy to start and finish over the weekend. One of the best things you can do for your garden is to save your brown and green wastes and make nutrient-rich and organic soil right in your backyard. Whether you use a readymade composter or put together a basic cage, your plants and vegetables will love it. It so simple to do and it’s always a good time to get started. Check out the Organic Gardening website for some great composting tips. While you’re out in the yard this weekend, do a quick check for any leaking sprinkler heads. A leaky sprinkler is easy to spot, whether a gusher or that slow and steady leak that keeps the sidewalk wet, it’s an easy weekend fix. Sprinkler heads can wear out over time so it good to check them periodically and replace them when you detect a leak. 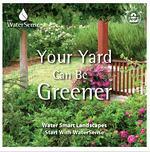 It will save you some green on your monthly water bill and help to conserve water. As summer months get hotter and drier plants need to maintain proper hydration. Many people think that means add longer watering cycles, however, spreading a layer of mulch is a much better option. Mulch will help keep moisture in the soil and prevents weed growth which means more moisture for your plants and less watering. Just think of what you can do with the time saved weeding and money saved watering! 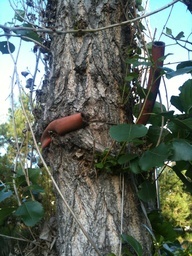 How many times have you headed out to the garden and realized you’ve misplaced the tool you need? You spend 30 minutes looking for it, give up and have to run to your local garden center to find a replacement. The long weekend is a great time to organize your tool shed to maximize your space, make it easy to find and store your tools, and easy to spot when something is missing which helps remind you to replace your tools when finished. There are many racks available in local hardware stores, a simple peg board and hooks or come up a creative way to organize them. And next time you head outside you will be so glad you did! During the long weekend it’s a great time to assess how efficient your garden and landscape is. If you are putting new plants in this season, look for native species that require less water. Ensure that your lawn mower is adjusted to its highest setting which helps to reduce the amount of water needed to keep it green. Or add a smart controller to your irrigation system to automatically turn off the system during rainy days. You’ll spend less in water while conserving this precious resource. And for more great ideas to green up your yard, spend some time this weekend on the EPA WaterSense website to learn how to make your landscape greener. There you have it…Corona Tools' 5 easy projects to get your yard and tool shed into shape this weekend! All things that you can complete in a weekend, cost you a little time or a few pennies, and guaranteed to reward you all season long. 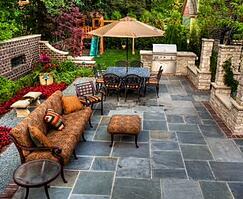 These are just a few ideas, what kinds of garden projects are on your list? Sometimes we have the best intentions for our trees and shrubs, but often we are misinformed about exactly how to help them. Coming up on the 3/5 #treechat, the Twitteriffic team at TCIA will review some tips on how to help your tree, not hurt it. The live chat begins at 3/5/13 at 11AM PST with this week's guest hosts, Amy Tetreault @Voiceoftreecare and Tchukki Andersen @TCIA_Arborist of TCIA. Join @Coronatools and other industry experts each week at 11AM PST via Twitter for #treechat. Discussing all things related to trees and tree care since 2010! If you care about your trees, Amy and Tchukki have lots of great information and resources to share on this chat so you won't want to miss it. And if you have questions related to the topic that you would like them to cover during the chat, please leave it in the comments below or tweet it to @Voiceoftreecare before the live chat. If you do miss the chat, don't worry, you can still access the #treechat Storify 24/7 that will be posted following the chat. The transcript includes all the information and links we shared during the discussion. Come share with us on this great topic and see you on the live chat! 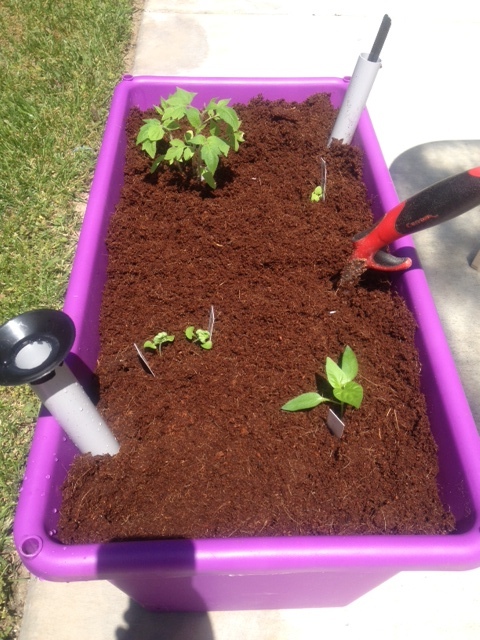 As a father, one of my favorite things to do is teach my two young kids about gardening. It’s always a challenge to make it fun and interesting for them but one Monday night I was on Brenda Haas’ #gardenchat with her host, @Growums. 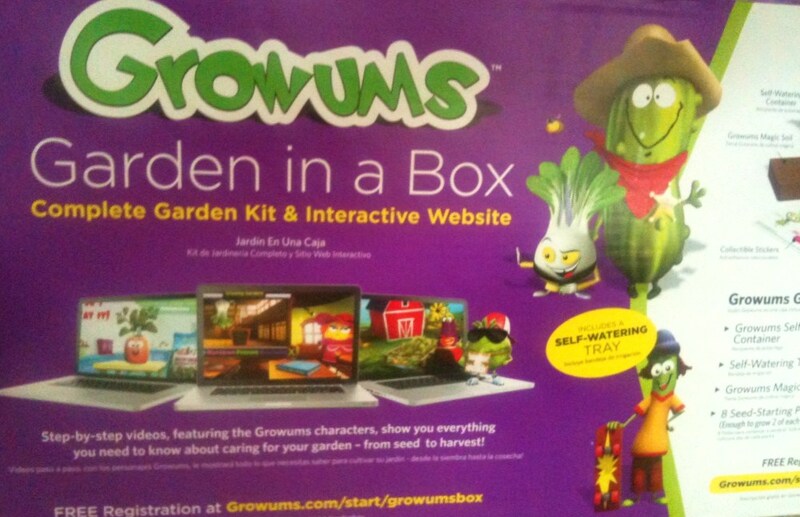 And by the luck of the draw, I won a complete Growums kit, designed to get kids introduced to gardening. I love that it comes with everything you need to grow a complete meal (ours was a pizza kit) and it’s made just for kids. Both my kids got into the great characters and videos they have when you register it on the Growums website. The kit tells you how to get your seeds started, watering, planting and fertilizing in a way that kids relate to. The planter box is easy to put together and it even tells you when it needs water. Best of all, my kids still go outside, check it out, check the water and are excited to watch them grow. Well done Growums! As a parent, we all want our kids to live long, healthy lives and anything that gets children interesting in growing fresh food (and hopefully eating them) makes me feel like I’m getting them off to a good start. So with Father’s Day just around the corner, we want to hear your story of how your father, or even your grandfather, helps inspire others to grow fresh healthy foods. Starting today, you can send us your story and picture of Dad and share how he influences your passion for gardening. Doesn’t need to be a novel, just a thank you for what he teaches you, words of wisdom he imparts, a memory from your childhood that stuck with you over the years…etc. You get the idea…! On 6/13, Corona will select 3 posts and celebrate them on our Facebook page. Corona Tools fans will comment or like them to cast their vote for the post they think celebrates a father’s inspiration to gardening. Then on Father’s Day, we’ll award the post with the most comments and likes with $100 shopping spree on coronatoolsusa.com. And of course, since he’s inspired you, we’ll give you a matching gift. The other 2 shares selected, will each get a set of or new ComfortGEL snips and pruners or our e-Grip Garden Hand Tools with Corona tote. Share your dad’s story with us and we’ll help you both celebrate this very special Father’s Day! And for those dads who garden with us in spirit, it certainly doesn’t diminish the contributions they've made in our lives. 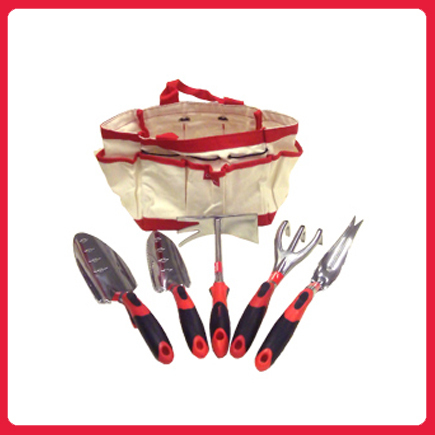 Keep the tools and think of him when you use them or share them with someone you know who may be new to gardening. Happy Father's Day and happy story telling everyone!